This eyewash system protects eyes from hot water. This thermally-controlled eyewash station easily mounts to your existing faucet and requires no plumbing. 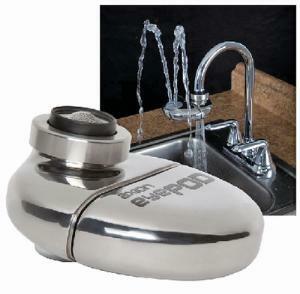 Remove the existing aerator from the bottom of your faucet, and replace it with this system. A flick of the wrist changes this dual-functioning safety tool from a standard faucet for daily use to an eyewash station for use in an emergency. When water temperature reaches 37°C (100°F), the water automatically turns off and diverts through the aerator, protecting the eyes from burn. Eyewash water is automatically restored once the temperatures reaches an acceptable degree. Standard adapters are included. Certifications: Certified to meet NSF61, ANSI/ISEA Z358.1 requirements.